Glass beads are one of the treasures of the Paiwan tribe. From oral legends, these beads magically appeared in the wilderness or are associated with tribal legends, and today their origins remain unclear. As there were no records left on how to make these beads or the materials that were used, Paiwan artists in Sandimen Township in Taiwan’s southern Pingtung County have carried out research to re-create them, each one with a special motif and meaning, such as an eye, feathers of a peacock, the lily flower or tears of the sun. These artists have also been working to apply these motifs to more contemporary, but still handmade, glass bead works. 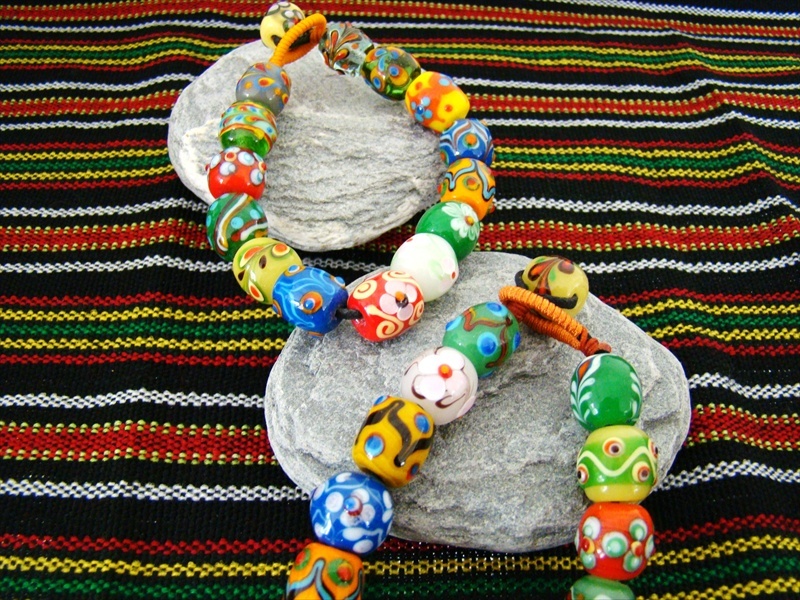 For example, this bracelet includes multiple beads some with traditional designs and some with purely artistic designs. Note: Please allow for variation in the beads that make up each bracelet. Bracelets come with a bead enclosure or elastic band. If you have a preference, please e-mail to info@tribe-asia.com at the time that you place your order.